Find out your kid’s whereabouts with Kidgy GPS location tracker. What is Kidgy Location tracker? 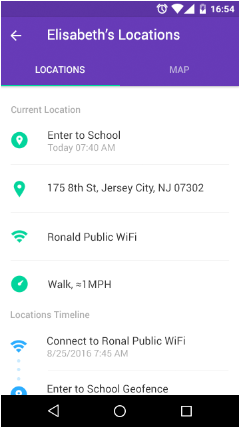 The parental control app’s feature is designed to monitor your child’s present GPS location, wherever they are: at school, at home, at grandparents’, etc. A parent can set safe virtual fences and get notifications once they are breached. Your kid may visit any place or take any school trip since with the Kidgy GPS location tracking you’ll be aware of any movement of your child. Spot places (at school, at the recreation center, etc.) that you think are safe for your kid on a virtual map and get informed when they are crossed. Get useful insights straight to your mobile phone about your kid’s movements by viewing places your child has already visited. How Kidgy Locations feature can help? With GPS location tracker you can check online on your kid while working and being on a business trip. Quick detailed notifications right to your iPhone Android or cell phone will inform you if your child breached safe zones or got into troubles. Monitoring your kid’s location can prevent kidnapping since Kidgy Locations feature allows you to be aware of your child’s every single movement. Get time and location stamps to react properly in time. Control your kid’s movements remotely while working or traveling. With the application’s tracking feature check on them remotely and put virtual fences if you want them to stick to safe areas. Get informed about your kid’s visits and place changes. Know your child’s regularities and inclinations that will help correct the offline behavior and prevent unwanted movement. Kidgy Locations feature is about awareness, care, and protection. Make sure your kid is safe wherever they go. It allows parents and kids to build relationships of trust and common understanding. “The whole parental control app is more full-featured than others. Due to my work, I’m out of the city twice a week. So for me this location thing is very helpful especially when my kid is heading to a new place within a school program”. “Get 5 stars from me and my wife because this application really works for my family. Once we lost our son while shopping in a huge mall. Sure since then we keep an eye on him more closely. But this GPS location tracker seems effective when you get into unpredictable situations”. “I tried a couple of parental controls and this one seems convenient for me. I’m happy to receive up to date notifications about my daughter’s whereabouts when I’m far from the city. Ok overall and helps. Recommend it for sure”. No more embarrassment for you having to check your kid’s phone for text messages. Kidgy delivers all SMS messages to your phone. Being a parent is fun. However, it is also hard work, especially when it comes to keeping kids safe when they are out of sight. This is where you need a powerful GPS tracker or locator that can be installed on their mobile device. The truth is that our world is full of unknown hazards, potential dangers, and simply really scary things that can greatly affect innocent tweens and teens. Moreover, as children grow, they want to push boundaries, explore, and make their own decisions. However, with the ability to track cell phone location of your kid, you will always know where they are at this very moment to show them the right direction if necessary. In fact, a smart GPS phone locator or tracking app, designed specifically for caring parents, makes the challenge of parenthood much easier. It won’t protect your child from all possible dangers, but it is sure to provide you with the greater confidence that your son or daughter is where they have to be. In this way, whether you are a parent of a teen or tween, a Kidgy GPS cell phone tracker is exactly what you need. Thanks to the full set of GPS tracking features, this trustworthy locator will give you the peace of mind you have always dreamed of! Child abduction. No one wants it to happen to their family, but, unfortunately, child abductions by strangers do exist. It is probably the main reason to use a powerful GPS tracking app able to show your kid’s current whereabouts at any time. Lost kid. Fireworks displays, county fairs, and other large crowd events can be a nightmare for a parent. However, a GPS phone locator, equipped with useful tracking features, can easily help you find your lost child in a crowd. Stolen smartphone. The ability to track cell phone location is also very helpful in case your kid’s device is stolen. 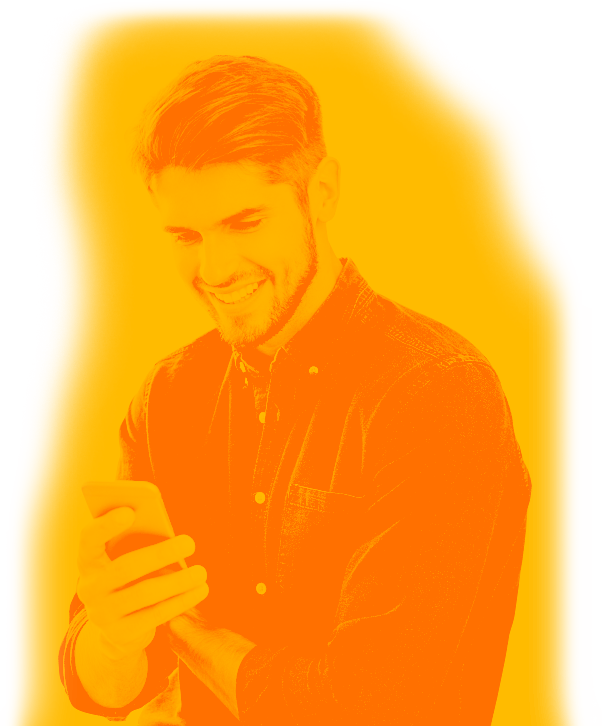 With a smart tracker, you can determine its location in just a few clicks. Children with behavioral and emotional issues. During their developmental years, kids are constantly changing. Sometimes, it may result in certain emotional and behavioral issues. In such a case, to use a mobile GPS tracker is a must-have, as it can prevent them from getting into trouble. Teen drivers. Another important reason to buy a GPS cell phone tracker is related to teen drivers. First of all, due to the tracking software, you will always know their exact location. Second, you will be able to provide emergency services with their coordinates in case of an accident. GPS phone locator can protect your kid! Whatever your reason to look for a reliable tracker, one thing remains unchanged – the ability to track cell phone location of your kid can protect them. What is more, it can save their life. After all, Global Positioning System is much more than just about finding the right direction to the chosen destination. It can provide your family with security and peace of mind, not to mention that it can be used as a tracking tool and help you teach your tween or teen important lessons about responsibility. Therefore, if you want your son or daughter to be protected, to buy a professional Kidgy tracking app is undoubtedly a wise solution. Moreover, this tracker is affordable for any parent!